I can support you to move from where you are now to where you want to be in your life. Coaching is an interactive process and I will support you on your journey of personal growth and change. The power of positive thought plays a huge part in a person’s recovery and in making changes. I support you to believe that YOU can change. It is a very empowering process and exciting! Energy 4 Life is a natural healthcare system that activates the Chakras and Human Energy Field. Energy is the fuel that we all need to live on and we need good quality energy to be healthy and happy and to live life to the full. Contemporary coaching skills are used with Energy 4 Life. I support you to explore the areas of your life you would like to work on and to make and commit to your goals. Coaching is not about the past and it is not designed to work on deep psychological issues. It is about supporting you to move forward in your life. Wellness coaching specifically supports you with your health and lifestyle and how to manage your personal energy levels. 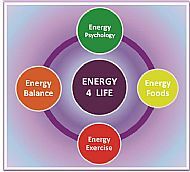 Energy 4 Life uses four modalities depending on what you need and which modalities you would like to use. These modalities promote a healthy balance in your body and the flow of energy. Energy Psychology uses techniques to look at your beliefs, thought patterns and negative statements that hold you back in life. Positive thought and mind processes enables people to make deep and lasting change. 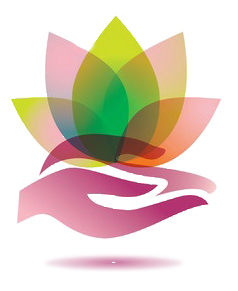 Energy Balance uses alignment techniques that instantly affect the nervous system inducing deep relaxation and meditation. It balances emotions and promotes energy flow. Energy Exercises use specific yoga postures and energy exercises designed to develop physical health, increase body awareness and enhance the flow of energy. Energy Foods looks at the subtle energetics of food, nutritional health and detoxification to promote good health and positive energy management.